Inhabiting an island off the coast of Maine left to her by her great-uncle Arno, Hannah finds her life as a dedicated and solitary artist rudely interrupted one summer when a dog, matted with feathers and seaweed, arrives with the tide. He is only the first of a series of unexpected visitors and is soon followed by a teenager running from an abusive father, a half sister in trouble, a mainland family, and a forlorn trapped whale. In the engrossing drama that unfolds, Hannah's love of her island solitude competes with her instinctive compassion for others. In this booksellers' favorite and two-time Book Sense pick, now available in paperback, Joe Coomer offers the rugged yet stunning beauty of Maine and the lobstermen and their families who are dependent on the sea for survival. Pocketful of Names is a deeply human tale about the unpredictability of nature, art, family, and the flotsam and jetsam that comprise our lives. 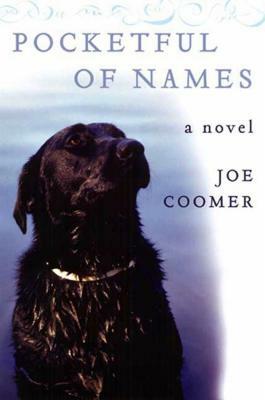 Joe Coomer is the author of several novels, most recently One Vacant Chair. He lives in Texas, where he is an antiques dealer, and Maine, where he restores historic homes and boats. Why is Hannah so driven to have complete solitude on the island? How does she change with the arrival of her numerous visitors? Is she happy alone at the end of the book? Consider the beginnings of Hannah's artistic career. When does Hannah become a loner? How do Hannah and Arno resist or accept the impermanence of the island? Discuss the meaning of the holes that have mysteriously appeared on the island. How does Will challenge Hannah's solitude? How are they similar to and different from one another? When does Will first call Hannah "Mom"? How are Hannah's feelings toward her young guest affected by being in her mid-thirties and single, without children of her own? Early in their friendship, Tom asks Hannah, "What are you hiding from?" What, if anything, do you think she's evading? Is everyone who comes to Ten Acre No Nine hiding something? In what context do they reveal these secrets to each other? How is each of the characters vulnerable? What happens when truths come to light? What effect does Hannah's sister Emily have on our perceptions of Hannah? Do Hannah and Emily like each other? What are the similarities and differences between the two sisters? What does Hannah discover through coming to know her sister after all these years? What do you think about Hannah's thirteen years as an artist on the island? What does Hannah think about them? Trace the different kinds of art Hannah makes from early in her life through her last art projects in the book. What does the novel have to say about being an artist, isolated or within a community? Would "Immaculate Conceptions" have been an apt title for Hannah's art retrospective? Was Arno's gift to Hannah truly a gift? By the end of the story, Hannah, Emily, and Tom have each faced a significant loss. What has each of them lost, and what made it important? What comes next? How do Emily and Hannah grieve? What are the costs and (if any) benefits of each character's loss? What new experiences are possible? Shirley, who arrives to help rescue the trapped whale at Ten Acre No Nine, says she names every whale she tries to save. What is Shirley saying about the nature of love and the risk of loss? Discuss the importance of names and naming.